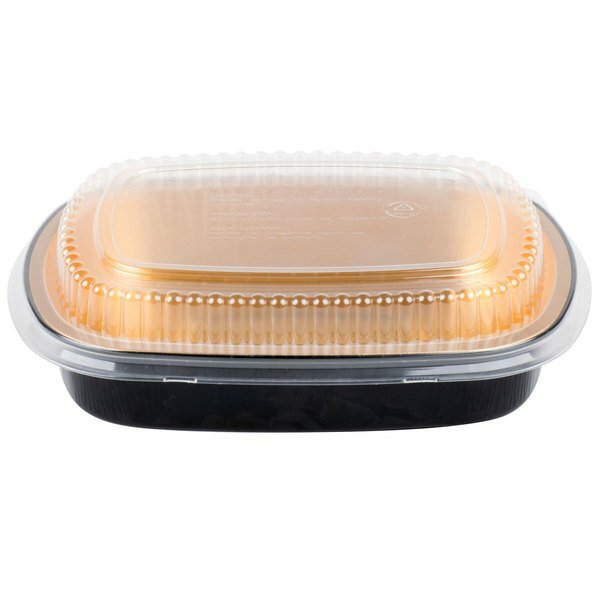 Bring some style to your take out service with this Durable Packaging 9442-PT-50 medium black and gold black diamond entree / take out pan. 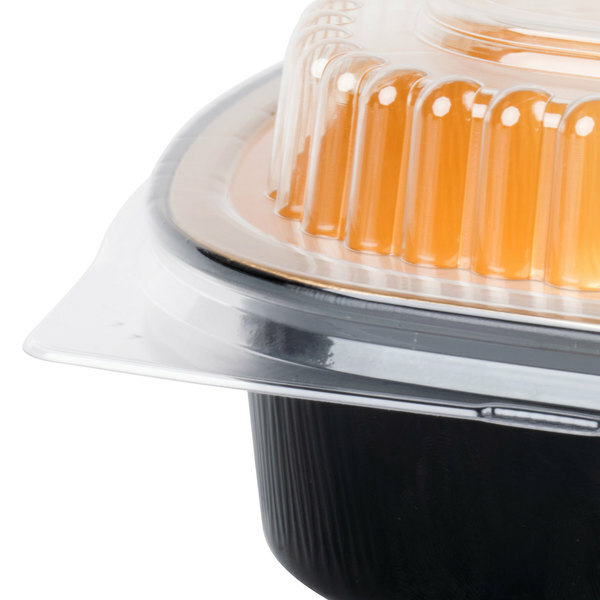 Made of sturdy aluminum, this container features solid construction, a rolled edge that won't cut or tear, and a dome lid that fits safely and securely over the container, ensuring that your delicious food will make it all the way home. Because of its fashionable nature, these pans are also great for giving an upscale look to catered food and prepared meals. 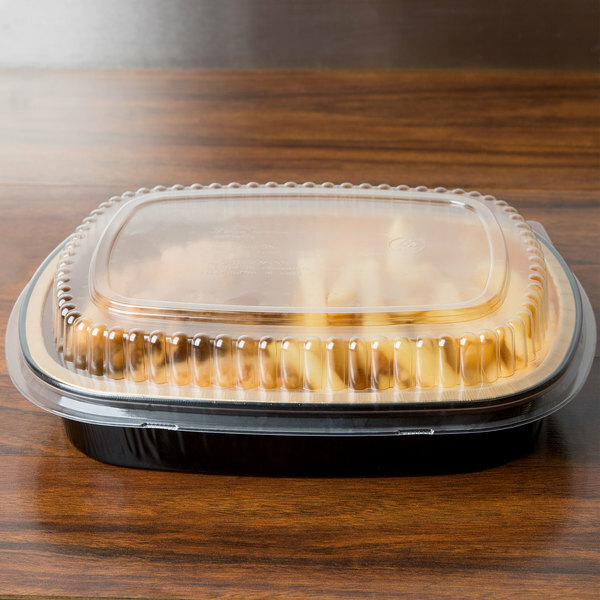 Its sleek, modern design creates a brilliant contrast between stark black and shimmering metallic gold which sets it apart from other take out containers. 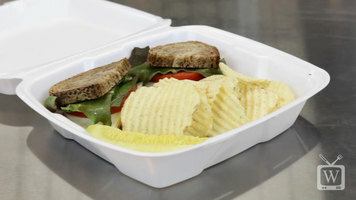 This container is ideal for upscale restaurants that want to give their take out a little bit of extra flair. With a capacity of 47.4 oz., this medium take out pan is big enough to transport all of your most delectable main courses. Use it for sushi, cookies, pastries, candies, desserts, and so much more! This take up pan really lends itself beautifully to anything you in the. Gold finish on the interior is lovely touch. The pan also keeps the food for a considerable amount of time. This size is particularly large so if you're service steak or a fish fillet - this is the pan for you. My only issue with is that the lids don't fit snugly enough and tend to come off. My solution was to hold the sides down with washitape. having said that, I would still but it again because it's so classy and different. I use these pans for frozen casseroles. 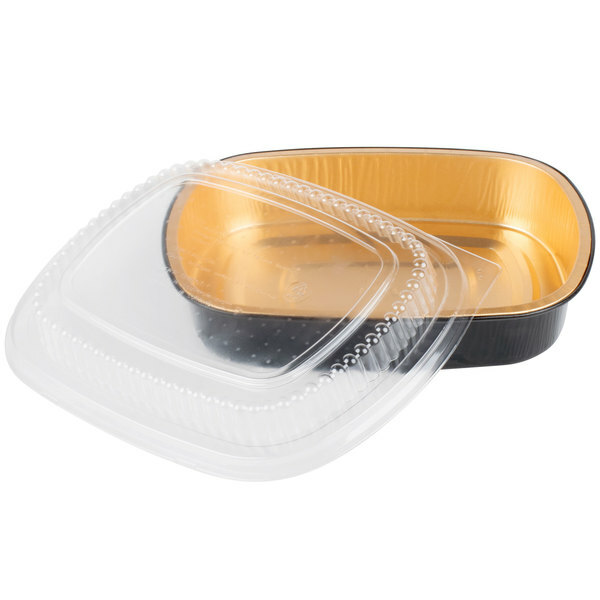 These pans with the clear lids make the product very attractive and appetizing. The stack well for transportation. This has been the best container I have ever ordered. It's not only Super durable but it is just so neat and clean looking. My Clients love this container its easy to use. Affordable I'm going to order more. Love these containers!! We wanted a quality but affordable tray for hot food for our store. We really liked the color of these pans and they were cheap for the quality. At the moment, we have waited to do hot food so we haven't a chance to use them regularly. But I'm sure once we do it regularly, we will use these often! Love these pans for many reasons. Can do make ahead / reheat meals in them; they stack perfectly; easy to carry in batches; and excellent for reheat purposes.Exceeded expectations! I love these pans. The black and gold makes them look very upscale for a metal take out pan. They're thicker than a lot of the metal pans and hold a substantial amount of food. I use these for something other than restaurant use, I have a large garden and do quite a bit of preserving, these work fantastic for my freezer meals, they are just the right size for a vacuum sealer so they can go from freezer to oven without any mess. Save Up To $6.52 with our Recommended Product! Looking to save a few dollars? Choose the silver container instead! 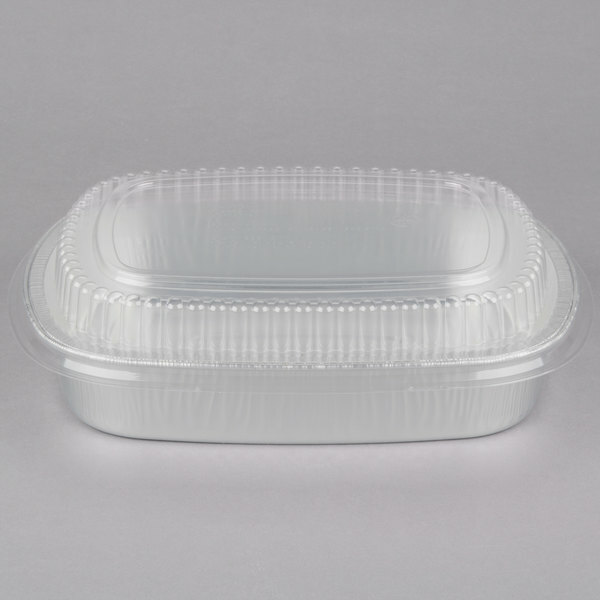 Just like the black and gold container, it's oven safe, puncture-resistant, and features rounded corners for convenient serving. 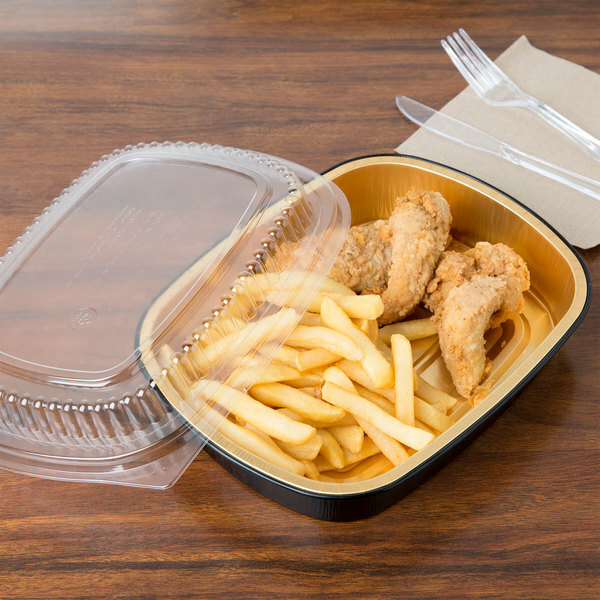 It also has the same generous capacity and crystal-clear PET plastic lid to show off your delicious creations!